If you need to have a roof replaced on a residential or commercial building in the Shiloh, Illinois area, or require the services of an experienced repair company because your roof has suffered hail damage, contact the trusted roofing contractors at Daech & Bauer Roofing. We have successfully completed more than 10,000 projects and counting, and our focus on providing customer satisfaction has helped us earn recognition from Roofing Contractor magazine as one of the Top 100 Roofing Contractors in the United States. The weather in Shiloh, IL area can be unforgiving at times, and intense storms can produce high winds and hail that can do significant damage to roofs. If not repaired, this damage can lead to larger issues, including roof failures. In addition to repairing and replacing roofs, the roofing contractors at Daech & Bauer have extensive experience dealing with insurance claims and can help you through the process to ensure you receive the compensation needed to return your roof to optimal condition. If a full roof replacement is what you need, we will install a complete roof system that combines water resistance, durability, and sufficient attic ventilation to help add years to the life of your roof. 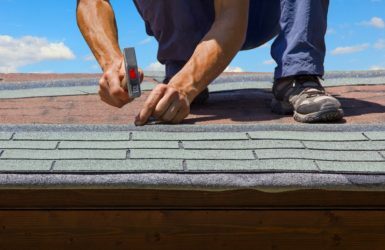 Furthermore, we promise to match any local roofing contractors that offer the same products and services for a lower price, and we back our work with a five-year standard labor warranty to provide our clients with additional peace of mind. If you would like to learn more about our company or the full range of services we offer, contact Daech & Bauer Roofing today. Daech and Bauer put a roof on my home and I couldn't be happier! !